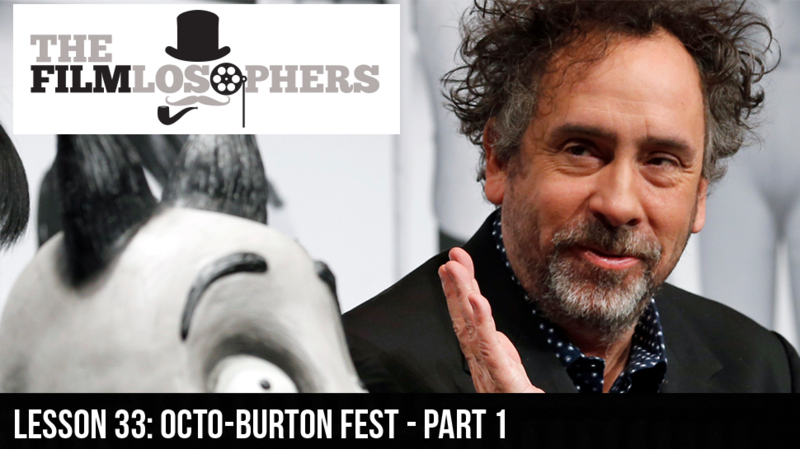 The Filmlosophers, Eddie Villanueva and Chad Riley, spend the last half of October discussing the distinctive style of Tim Burton – this week, focusing on his work in stop-motion animation. From his first professional forays in the medium in the early 1980s to integrating stop-motion into seminal classics such as Pee Wee’s Big Adventure (1985) and Beetlejuice (1988), Burton later went on to spur the medium toward innovation. Burton revitalized the genre as a creative voice for the fan favorite The Nightmare Before Christmas (1993), directed by Henry Selick, then pushed it further with his full-length directorial debut The Corpse Bride (2005) and kept trying new techniques for Frankenweenie (2012). News items in this episode include discussion of a rumored Leonardo DiCaprio-produced Captain Planet film and just-released details of the new Wolverine film’s villainous Reavers in Logan (2017), which is set to be Hugh Jackman’s bow as the X-Men film franchise’s central character.